Pop-up museums and interactive experiences are all the rage right now. It seems like every week there's a new, highly photogenic museum popping up, each one prettier and trendier than the last. Nowadays it's all about premium content on your Instagram feed whether you're an influencer or not, which might explain why these Insta-trap museums are so popular. Here is a round up of some of the top pop-up experiences out there. Keep scrolling to learn more about these innovative creations! The Museum of Ice Cream is the pop-up museum that really fueled the popularity of this trend. The first MOIC opened in New York City in the summer of 2016, and the company has since opened temporary museums in Los Angeles, Miami, and San Francisco. With rooms full of interactive ice cream themed art installations—and yes, plenty of ice cream samples to satisfy your sweet tooth—the Museum of Ice Cream was practically made for your Instagram feed. 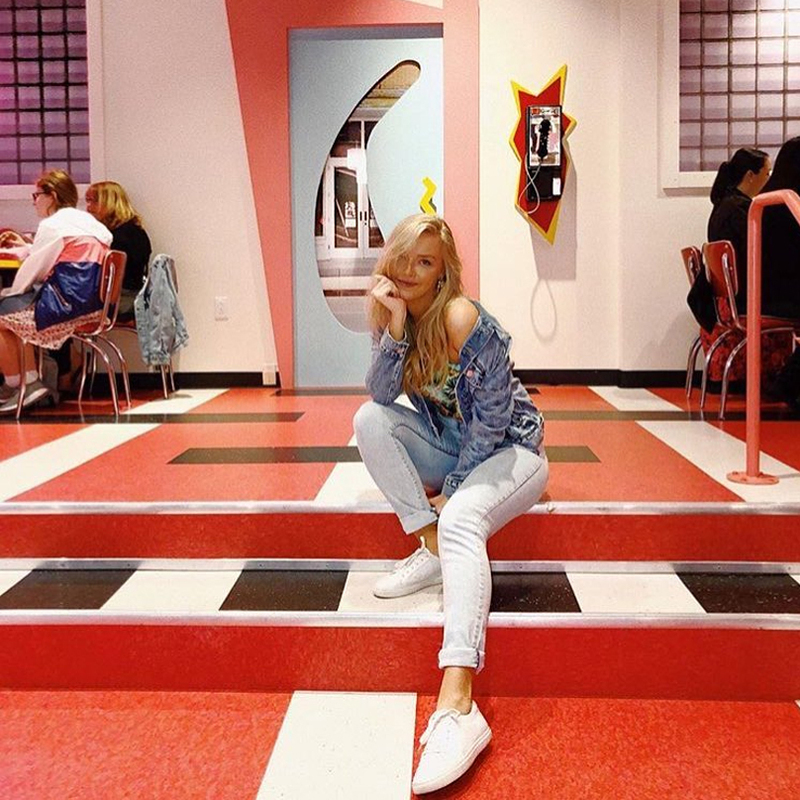 Millennial pink backdrops and larger-than-life ice cream sculptures make for great photo backdrops, and you will leave the museum with enough content to last for weeks. Part 90s nostalgia shrine, part restaurant, Saved by the Max pays homage to the classic teen sitcom Saved by the Bell. With set ups made to look like Bayside High and the preferred hangout spot of Zack Morris & Co., The Max, you’ll feel like you’ve been transported right into the TV show. What really sets this pop-up apart is the fact that you can actually sit down and grab food and drinks, since it does serve as a restaurant. You'll be able to take your time and take in the full experience, all while snacking on menu items like "AC Sliders" and "Bayside Burgers". Time slots sell out quickly, so make your reservations for this West Hollywood attraction now! Fans of color, rejoice! This might be the brightest pop-up museum around. Designed to celebrate all things joyous and happy, the rooms of Happy Place are technicolor and fun. From a "pot of gold" ball pit underneath a rainbow to a room filled with multicolor confetti, you'll leave this experience with a bright smile on your face and plenty of colorful photo options for Instagram. Created by digital media company Refinery29, 29Rooms is a way to experience everything Refinery29 is about in real life. Through—you guessed it—29 different rooms designed by different artists, visitors can walk through and interact with these different spaces, which all have unique themes. From electric neon fun rooms to graffiti art walls, there are so many cool installations that will intrigue audiences. Get ready Bay Area: 29Rooms will open its doors starting June 21st. Click here for details! Many marketing teams for films and television shows are getting in on the pop-up action, too. Take the Mermaid Museum, for example: to hype up Freeform's new series Siren, POPSUGAR and Freeform teamed up to open the MerMaid Museum, a limited-time experience filled with plenty of deep sea wonders. Attendees could pose in a clam shell like Ariel, check out props from the show, and even encounter a real mermaid who swam in a giant aquarium within the museum. While the Mermaid Museum only popped up for one weekend, there are sure to be plenty more pop ups for movies and TV shows soon! If you've got a sweet tooth, then this is the museum for you! Candytopia is exactly what it sounds like: a pop-up experience filled to the brim with fantastical candy themed installations. Highlights include a marshmallow pit, a candy recreation of the Mona Lisa, and of course, plenty of free samples. Candytopia is currently located in Santa Monica, and open everyday of the week. You can snag a ticket on their website. Have you visited any of these photogenic museums? Let us know in the comments! 2017 © SIMPLY INC. All rights reserved.